The ecoinfo is identical to the ecoplus except that the advertising display is illuminated and automatically lights up when the urinal is used. This is a very powerful advertising medium as it immediately attracts and holds your attention. No one can escape an advertising message displayed on the ecoinfo! The sensor- controlled display lights up as soon as someone approaches. Where else can advertisers be sure of such undivided attention for an average of 40 seconds? Save Money & Earn Money – By placing your advertising message on the ecoplus display, no one can avoid looking at these commercials and the window is easily removed to change the advertising message poster. 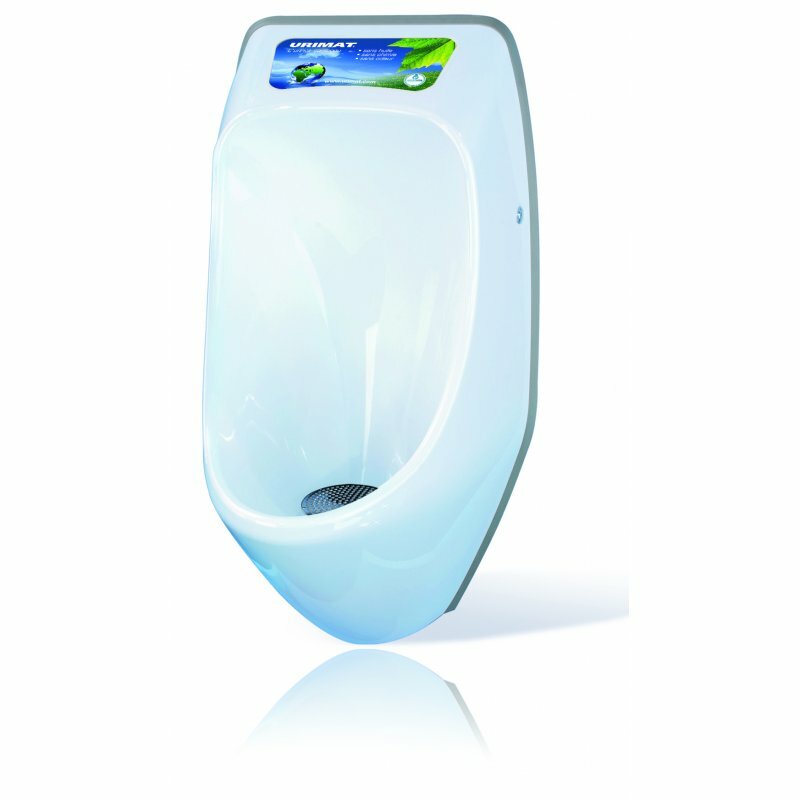 Damage Resistant - This injection moulded bowl is extremely robust and makes the urinal break-resistant and vandal-proof. 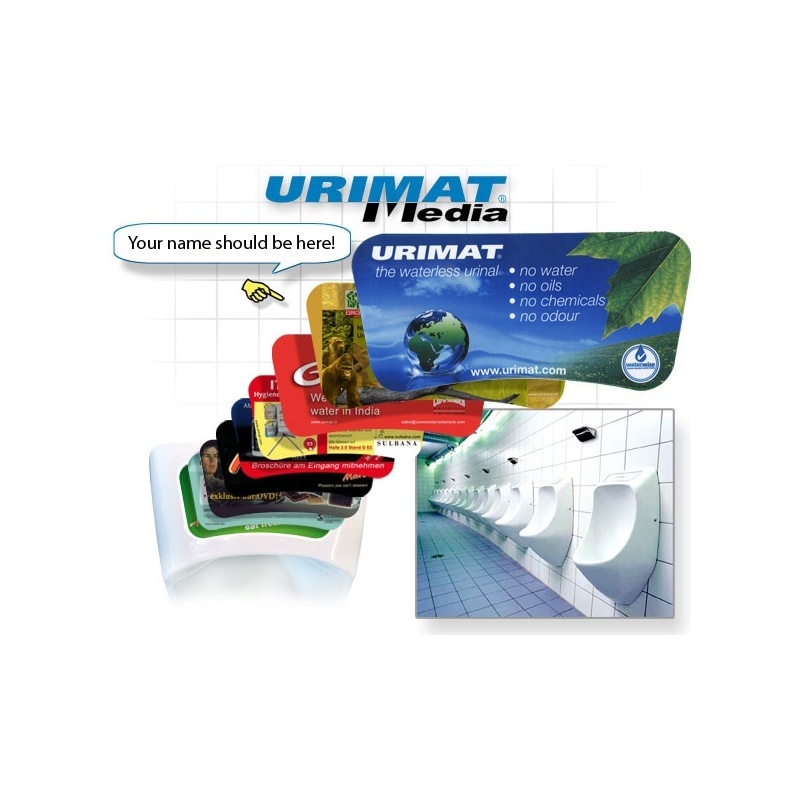 User Friendly - The patented shape of the bowl guarantees that Urimat is 100% back-splash free, protecting clothing and the washroom environment. This is achieved with an extremely strong negative curvature in the impact area and with the shape of the rim of the bowl extending far to the front. Therefore, the user stands closer to the urinal, but without hitting their head on the wall, increasing the target accuracy. This significantly reduces the maintenance cleaning and saves additional costs.